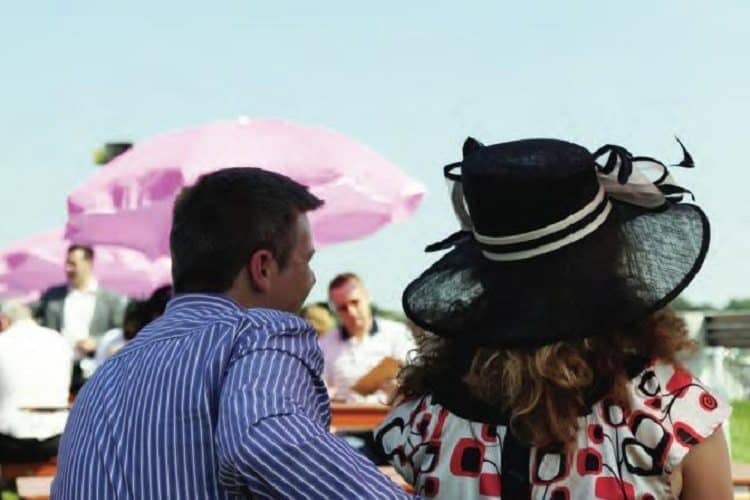 The Epsom Derby Festival 2019 is the home to the world’s greatest flat race and is an exclusive and glamorous event quite unlike any other. 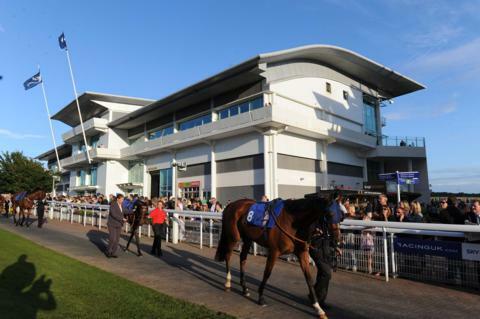 The vibrant festival enjoys a superb atmosphere, stunning hospitality facilities and fantastic racing. 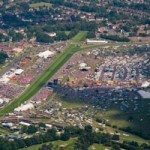 With over 125,000 people enjoying the Derby, Epsom combines an electric atmosphere, history and glamour with stunning hospitality facilities. 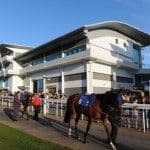 The climax of the festival is the Derby which is now the richest horse race in the UK with total prize money of over £1.3 million. 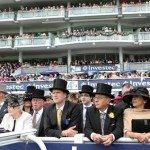 Team Tactics are delighted to offer an excellent range of Epsom hospitality packages for 2019, giving you the opportunity to take in all the action on the race track .Ideal for entertaining clients and staff our hospitality facilities range from Private boxes, Chez Roux and Tattenham Straight Marquee or the exclusive Derby suite above The Royal Box. 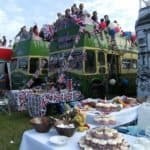 For something a little different try Our Open Top Bus hospitality packages which offer a truly unique hospitality experience. We strongly recommend booking Privates Boxes early in order to avoid disappointment. Please Contact Us for the latest availability and prices. 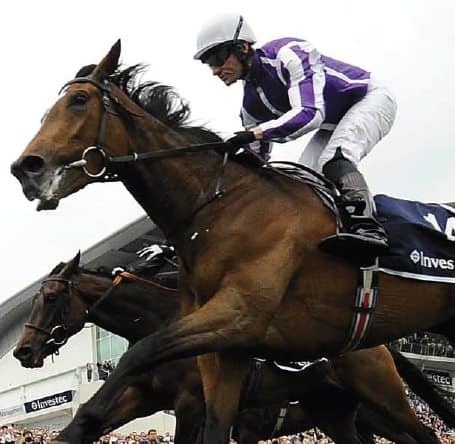 This is THE Derby, the original, all other Derbies are named after this race meet and the meet itself is named after the then 12th Earl of Derby. This is sometimes known as the ‘Blue Riband of the Turf’ and is considered to be the most prestigious of the five Classic Races (the others being: 2,000 Guineas Stakes, 1,000 Guinea Stakes, Epsom Oaks, St. 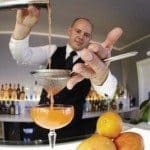 Ledger Stakes).Team Tactics offer hospitality packages which provide the perfect way for you and your guests to enjoy the frivolities. Epsom is just inside the M25 on the Gatwick Side of London. If heading in from the East: Turn off the M25 at Junction 8 and head North up the A217 towards Tadworth. When you get to the Third roundabout, take the 2nd exit onto the B2220. As soon as you have gone over the railway cutting, turn right onto the B290 (High Street). Take the 2nd left onto The Avenue then the 2nd Right onto Kingswood Road. Kingswood Road ends in a T-Junction: turn left and then follow the road all the way to the racecourse. Make sure you are not attempting this route after 1200 as the road will be closed. If heading in from the West: Turn off the M25 at Junction 9, at the roundabout take the 1st exit onto the A243 (heading south), at the next roundabout, take the first exit onto the A24 and head into Ashtead. As you drive down the high street, you’ll pass the Beijing Palace on the right, turn right immediately onto Park Lane. Just after the first bend you will need to turn left to stay on Park Lane. Park Lane eventually ends in a T-Junction, here you should turn right onto Farm Lane. Take the first left (it’s about half a mile) onto Downs Road, the soon turns into Langley Vale Road which you follow all the way to the race course. Tattenham Corner Station is the closest to the grandstand, it takes about an hour from London Bridge station. There is also Epsom Downs station which is a little further away, but if you don’t mind a mile-long walk through a golf course this may prove a more convenient station for you. There is a direct train to this station from London Victoria which takes about an hour. 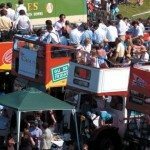 If you don’t fancy walking, a shuttle bus serves both stations on derby days. 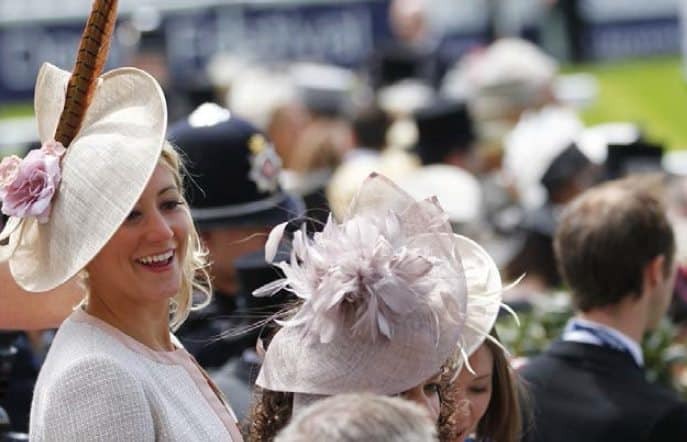 Ladies Day: Gentlemen must wear a jacket, collar and tie; Ladies are asked to wear a fascinator or hat and children should be dressed smartly. Jeans, sports shorts, denim and trainers are not acceptable. 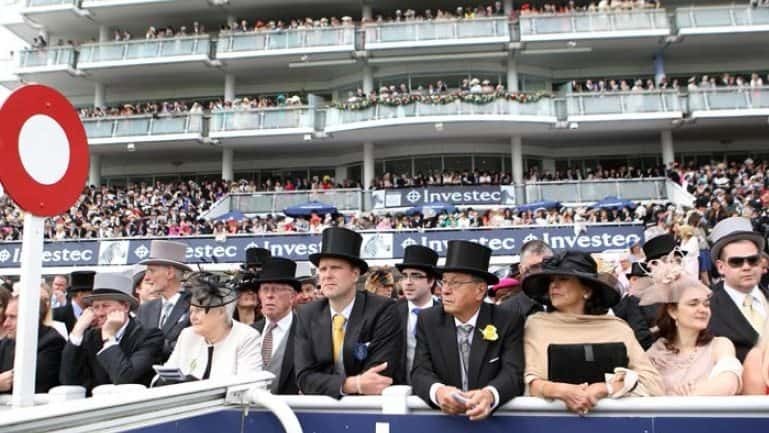 Derby Day: Gentlemen must wear either black or grey morning dress with a top hat but have the option of service dress or full national costume. Ladies must wear a formal day dress, or a tailored trouser suit, with a hat or substantial fascinator. No fancy dress. Hospitality Areas: Gentlemen must wear jackets and collared shirts, ties are encouraged but not essential. 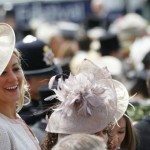 Ladies are asked to wear a fascinator or hat. Denim is allowed but it must be smart and not frayed, worn, or ripped. Children should be dressed smartly. Enclosure: Jackets, trousers and collared shirts are encouraged but not essential. Again denim is allowed but it must be smart and not frayed, worn or ripped and children should be smartly dressed. No sleeveless vests, fancy dress, or sportswear and this includes trainers. 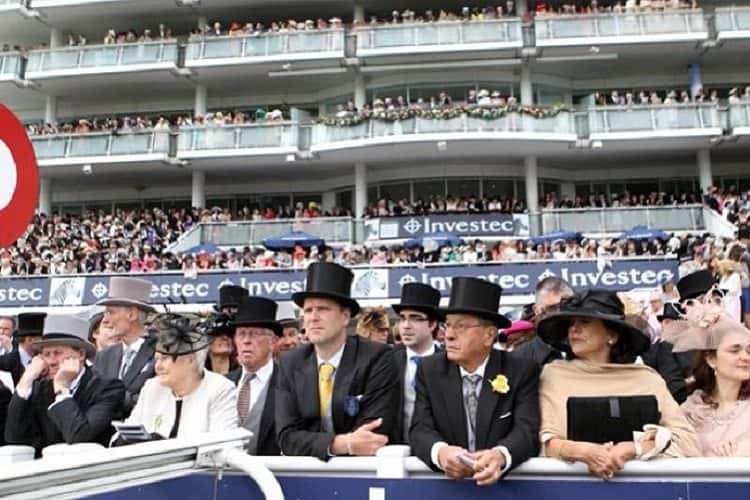 Due to the event’s nature, the dress code is quite a bit more relaxed than most other horse racing fixtures. Jackets, trousers and collared shirts are encouraged but not essential. The name ‘Epsom Derby Festival’ is appropriate when it comes to the afterparties here. 2018 saw DJ sets being done by Jo Whiley, Frankie Bridge and Vouge Williams; previous years’ DJs have included such figures as Judge Jules. The Hyperion Lawn in the Duchess’s Stand is where is it all happens. If a carnival atmosphere is more what you are about, then it is worth trying out The Hill, which is directly opposite the Grandstand. This area is free to enter and has live bands. 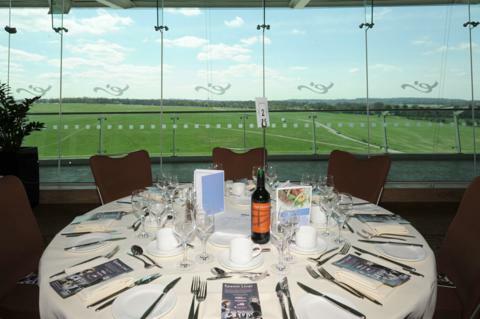 For more information on our Epsom Derby Hospitality Packages call us today on 0203 905 1750. 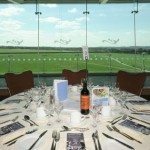 Our Private Boxes at Epsom provides an exclusive environment and affords you the comfort and privacy for entertaining and impressing guests. Private Boxes are available within the Duchess’s Stand Box. With outstanding views of the breath-taking action these private boxes are always in extremely high demand. Each box has its own private balcony offering you the opportunity to take in the atmosphere and panoramic views of the Dons. Enjoy a delicious four course seated or premier fork buffet menu along with a traditional afternoon tea, a complimentary bar throughout the day and lots more. Each box has it’s own private balcony offering you the opportunity to take in the atmosphere and panoramic views of the Downs. Private boxes are available for a minimum of 20 guests per box. 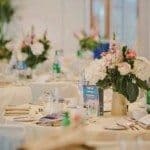 The Tattenham Straight marquee provides a stunning hospitality experience and a superb position for soaking up the atmosphere. 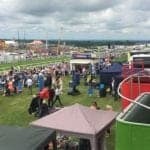 Located on the Tattenham Straight, guests will be able to view the horses thunder down the finishing straight from an elevated balcony or, within the grass area in front, up by the rails. 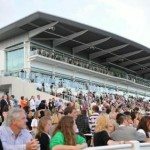 Alternatively a Grandstand Enclosure ticket allows you and your guests to explore, with the parade ring a short walk away. A big screen opposite the marquee provides guests with all the action as it happens around the track. 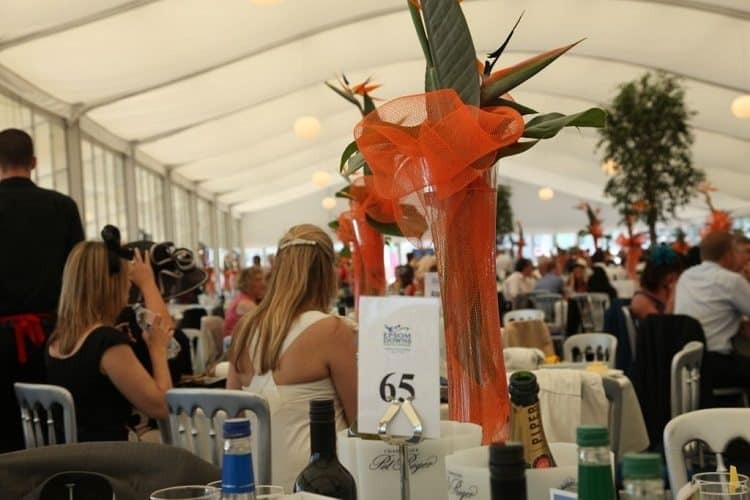 The Tattenham Straight Marquee provides great value for guests looking to entertain with a full hospitality experience. Shared tables can be booked for 2 guests upwards whilst groups of 10 guests can book an exclusive table. 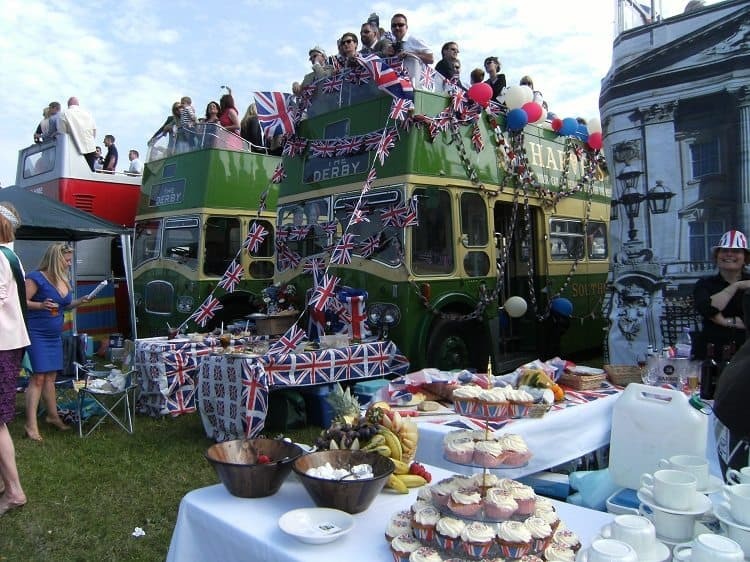 Team Tactics can provide a fantastic day’s hospitality experience within the Upper Tattenham enclosure or Lonsdale Enclosure with a private open top bus and exceptional catering. 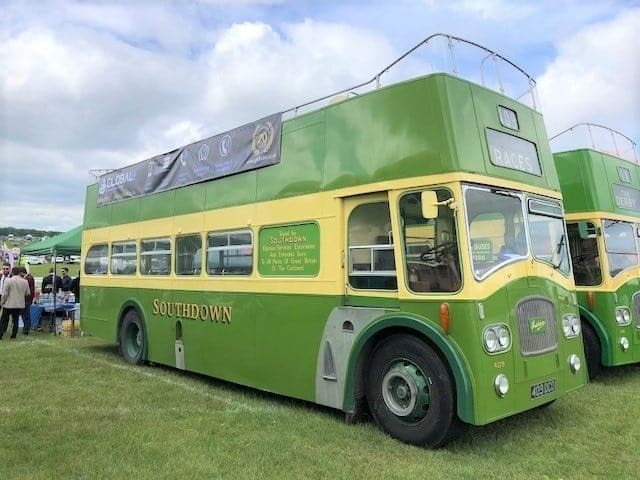 Open Top Bus hospitality is a great experience characterized by its electric atmosphere and excellent views of the racing and the Downs. 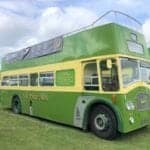 There is something very special arriving in style to Ladies Day (Friday) or Derby Day (Saturday) in a stunning, vintage open top bus, enjoying the informality this entertaining provides. 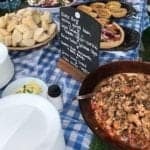 Our luxury caterers will provide a gourmet cold buffet with several main options as well as sumptuous sides served with fine wines. We provide a gazebo that is situated directly in front of the bus. 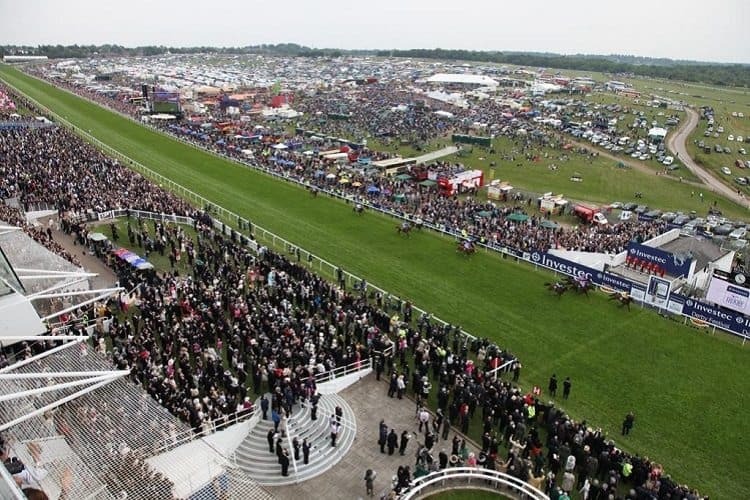 The Upper Tattenham Enclosure stretches from the Grandstand to the Tattenham Corner providing spectacular views of the horses as they approach the finishing straight and onto the winning post. This enclosure is slightly elevated and from the open top buses, this provides a great platform for viewing. 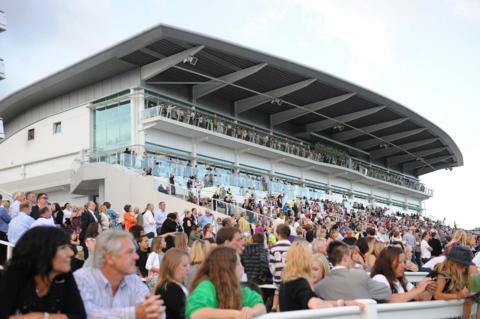 The Lonsdale Enclosure is also a grassed enclosure that fronts onto the racetrack but is situated opposite the main Grandstands of Epsom Racecourse. Get really close to the horses thundering past. This enclosure is located just yards from the finish line. 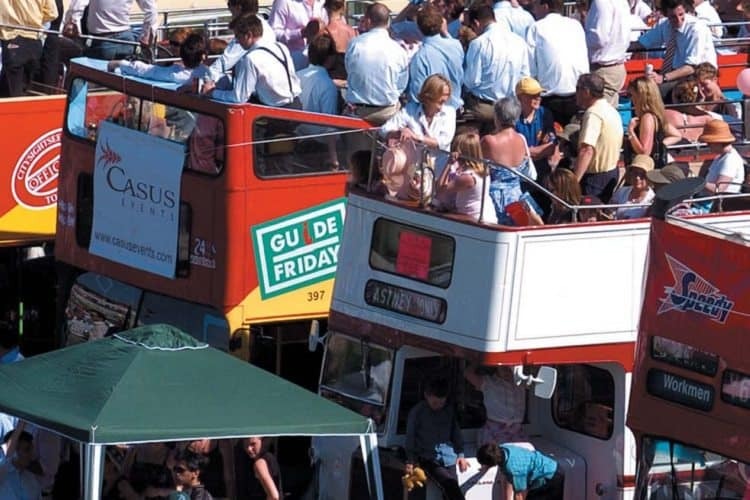 Team Tactics offer a charming hospitality experience aboard an Open Top Bus together with an enclosure pass. The convivial atmosphere within the Lonsdale and Upper Tattenham enclosures combined with the uniqueness of a vintage open top bus makes for a truly special and memorable day at the Epsom Derby Festival. 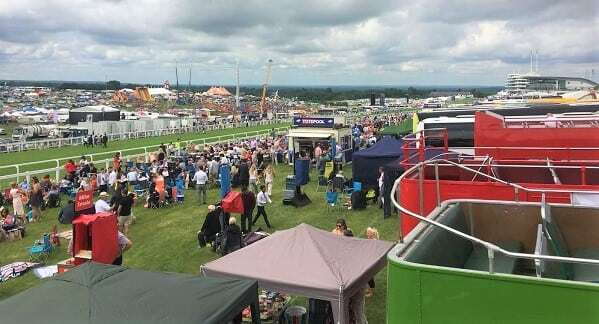 The Lonsdale Enclosure is one of the most sought after spaces at the Epsom Derby, and is located opposite the Queen’s Stand and next to the Winning Post. 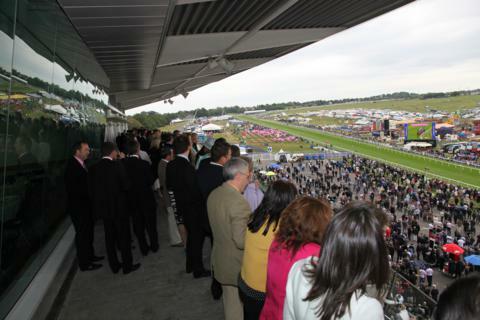 Guests have a prime view of the finishing straight and can wonder up to the rails to watch. Space is strictly limited so book early to avoid disappointment! 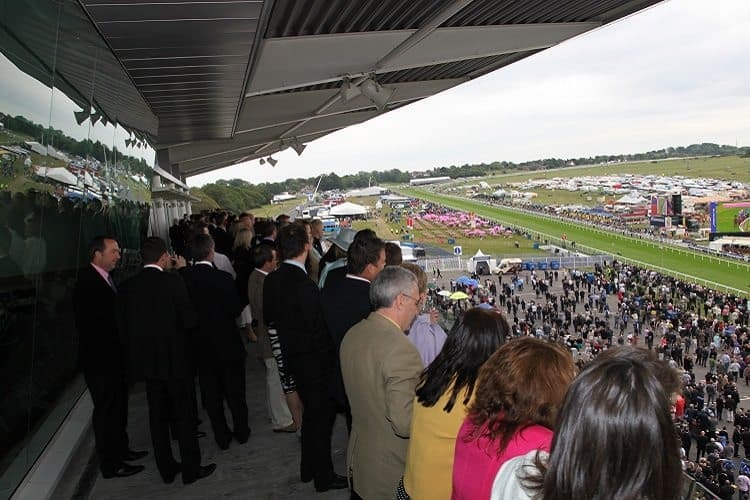 The Upper Tattenham Enclosure stretches from the Grandstands to the Tattenham Corner providing spectacular views of the horses as they approach the finishing straight and onto the winning post. This position is set slightly elevated so the viewing is good of the horses coming around the corner and up to the winning post. 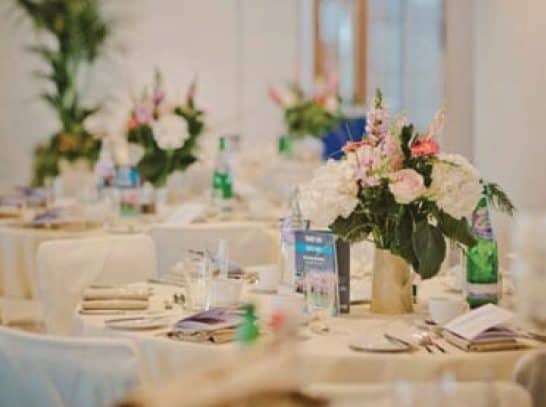 One of the finest hospitality expereinces within Epsom, the Derby suite is located on the third floor of the Queen’s Stand. 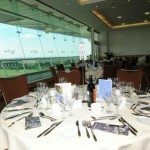 The Derby Suite is above the Royal Box and offers an exclusive fine dining experience. 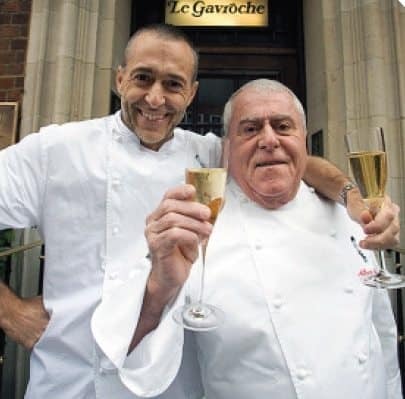 A champagne reception on arrival a five course lunch with fine wines this is ideal way to entertain your key clients and members of staff. 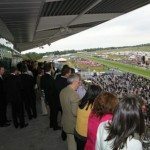 With a private club feel, this suite has a large balcony overlooking the finish line and parade ring. Located on the second floor of the Duchess stand, the Downs View Suite provides superb views of the Downs from its curved balcony. This excellent vantage point provides spectators with a view of the entire event. 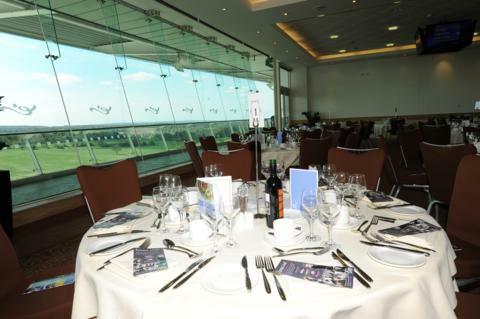 Downs View hospitality dining is a trencherman’s paradise with a sumptuous 4 course menu. Exclusive tables are available for groups of 10, whilst smaller numbers will be accommodated on shared tables. The winning post offers unrivalled views of the racing. Located on the inside track it offers a contemporary marquee next to the finish line, ensuring you don’t miss the final stages of the race. The restaurant also offers guests hospitality like no other offering elements of both self and silver service creating a unique dining experience. 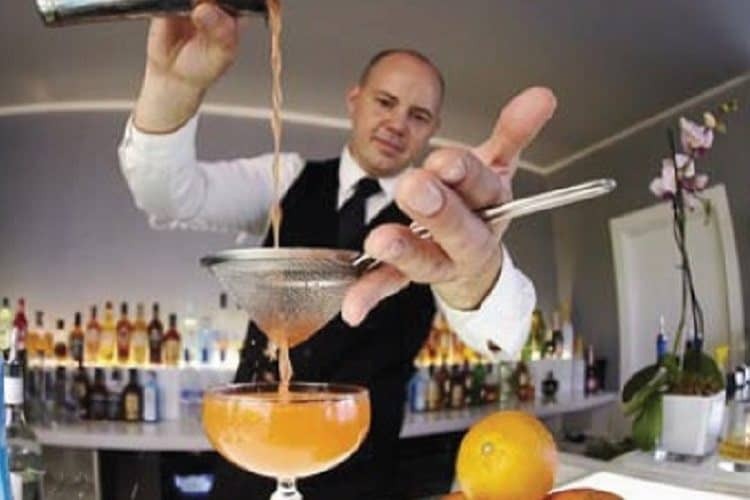 There will also mixologists on hand creating delicious cocktails throughout the day. You will also be treated to an afternoon tea with a modern twist in a relaxed and informal experience. Private tables are available for groups of 8 or more. 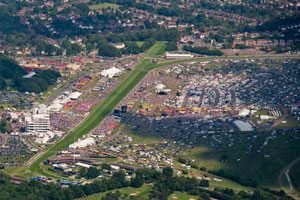 Global 4 had a memorable day celebrating our 20th Anniversary at the Epsom Derby. Nothing was too much trouble for Courtney at Team Tactics and both Courtney and the team were stars on the day (we made a lot of amendments and most of which very close to and on the day). 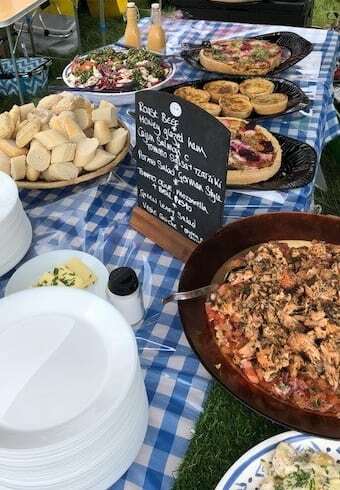 The food was fantastic, the open top buses were a lot of fun, we were right by the race course and the overall facilities at the event were spot on. We also know that there were other groups enjoying the Derby with Team Tactics, however, we felt as though we were the only group there. Thank you again to all at Team Tactics. Thank you so much for a perfectly managed event. 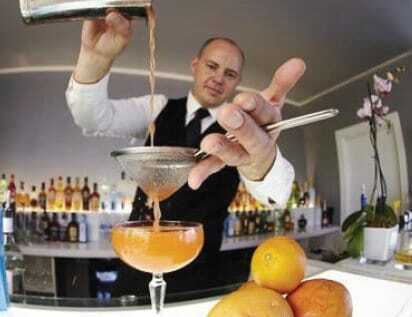 The food, drinks, service and event management were superb. Thanks to Team Tactics for organising a great day for us. The Blue Ribbon Room and the service offered was excellent! The day lived up to all expectations. The ability to have access to all of the facilities in the Queen's Stand (i.e. the winner's enclosure, the course, proximity to the winning post and the parade ring) made it an extremely enjoyable occasion. Bumping into Queen and Wills & Kate, and our luck in picking 4 out of 7 winners, is not of course something Team Tactics can ensure for every one attending – but maybe someone else will get as lucky as we did next time. It was great day out in all regards.